Faythe is a 32-year old mother of two. She lives in New Castle, DE with her husband of seven years. She is a member of Seeds of Greatness Bible Church where she is an active member working in various ministries. Faythe is a Middle School Counselor at a Charter school in New Castle, DE. There she puts her God-given gifts to work as she helps young souls with everyday life struggles and more. Faythe loves spending time with her family and has a deep passion for working with at-risk children. 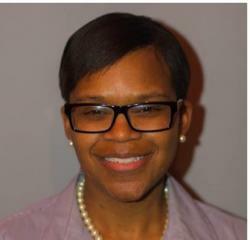 She received a Bachelor’s Degree in Human Services from the University of Delaware and a Master’s in Education Degree from Wilmington University. Faythe lives by the scripture Jeremiah 29:11, as she believes God has her life well planned and it will be all that she hoped for!